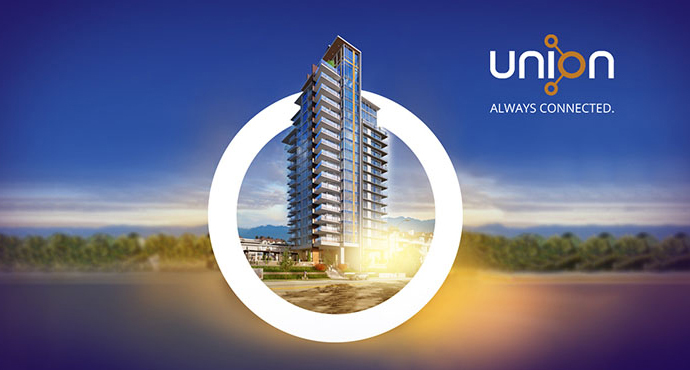 The newest development in the West Coquitlam real estate district is now launching at Union Condos at Lougheed Town Centre. Just steps from the most important and extensive transit hubs in the Lower Mainland including the West Coast Express and the soon to launch Evergreen SkyTrain Line (with connection to the Millennium SkyTrain Line), the Lougheed Coquitlam Union condos allow you to be connected to everything that the Metro Vancouver region has to offer. The boutique high-rise tower will feature only 100 condominium residences and 2 townhouses for sale. 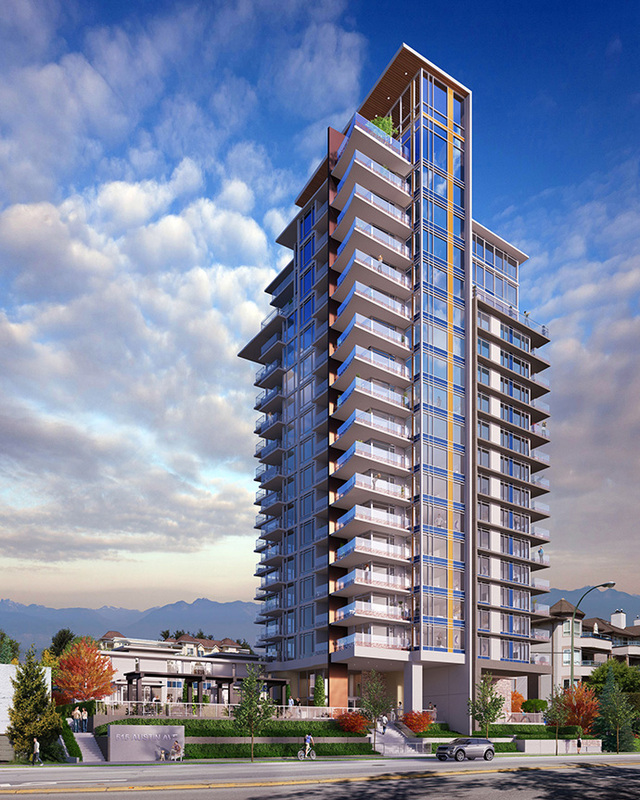 As well, the West Coquitlam Union condo tower will feature only seven homes per floor, allowing for maximum privacy. The convenient location is also on a quiet and established residential street just minutes away from the entertainment, shopping, dining and commercial mecca of Lougheed Town Centre (it’s just 1 block from Lougheed Mall). Because of its unique site location, residents at Union Lougheed Town Centre will have fabulous views of the mountains, New Westminster and Fraser River. This area known as Burquitlam or West Coquitlam is fast becoming the high investment growth opportunity with unequalled value when comparing against other redeveloping areas. Steps from Coquitlam College, prime shopping/dining and great schools, the future of Lougheed Town Centre at today’s prices are now here at the Union Coquitlam condo tower. Visit www.unionliving.ca for more details or you can also just register online here. There are one hundred intelligently designed residences comprised of 1, 2 and 3 bedroom homes. With Union’s close proximity to the Lougheed Skytrain Station combined with the introduction of the Evergreen Line, residents of Union Coquitlam condos will soon have easy access to Coquitlam, Burnaby, New Westminster, Surrey and even Downtown Vancouver. Experience a balance between a residential community and accessibility to a vibrant urban life. Union is a great place to call home. The developer is Square Nine and the architecture is by Chris Dikeakos Architects. The general contractor is Urban One and Cristina Oberti Design is the interior designer. The boutique high-rise is concrete and there will be a great mix of 1 bed to 2 bedroom plus den floor plans. The West Coquitlam Union penthouse level will feature 3 bed/3 bath as well as three bedroom plus den with 3 bathroom floor plans. The strata fees are expected to start from $0.33 per square foot and the high-rise is 18 storeys in height plus a spectacular Rooftop Sky Lounge. 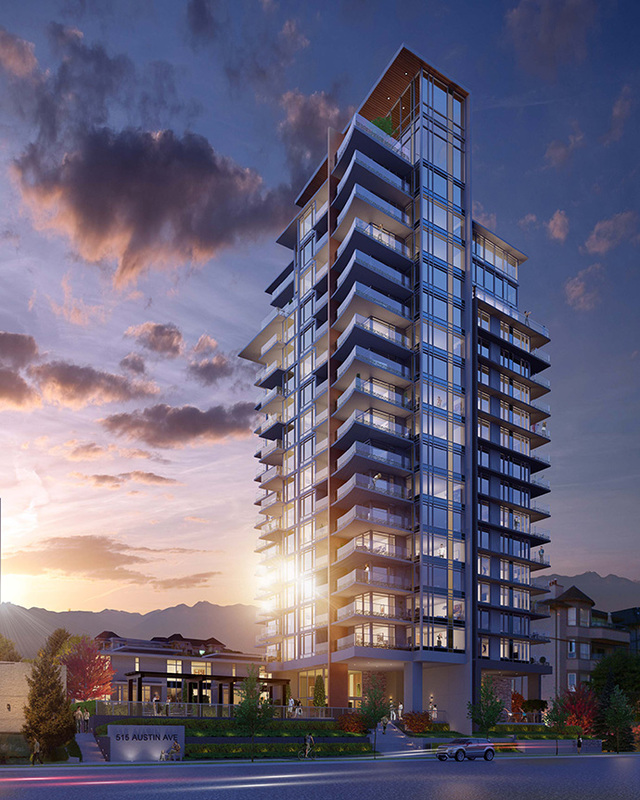 The estimated completion for the presale Coquitlam Union Lougheed condo tower is Spring 2018. The tower will feature on site amenities including: gym, fully landscaped ground floor courtyard, rooftop sky lounge with kitchen and roofdeck. The interior features of these new West Coquitlam condos for sale include two designer colour schemes carefully selected by Cristina Oberti Design. Some finishes include European appliance packages, gas cooktop, quartz stone counters, over height ceilings and generously sized balconies. Please note that these can change at any time. As mentioned above, there is a wide variety of floor plans available during presales at the West Coquitlam Union condo tower. They range from one to two bedroom plus den units plus penthouse level three bedroom homes. Here is a snapshot of the Union floor plans below. Please contact a sales team member or an agent for more details about available floorplans, pricing and features. The penthouse level at Union at Lougheed Town Centre condos includes PHA which is a 3 bedroom plus den with 2 bathrooms with 1280 square feet floorplan and 145-425 sqft outdoor living space. Penthouse B is a 3 Bed and 3 Bath unit at 1360 square feet plus 175-790 sqft outdoor space (the larger being the patio level (floor 17). The Coquitlam Union Penthouse PHC floor plan is a 3 bed plus den and 3 bathroom layout at 1505 square feet plus 335 sf exterior. The Union Townhomes 1 & 2 are 3 Bedroom plus 3 bath units over 2 levels with 1355 square feet and a ground floor external living area of 305 to 405 square feet.